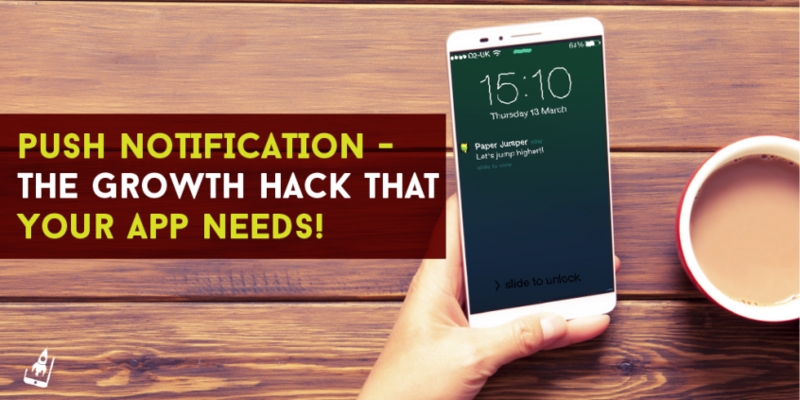 Home Push Notification -The Growth Hack That Your App Needs! As mobile marketers, you may have tried and tested numerous app marketing tactics to keep your users appeased. Amongst the plethora of options that are available to app marketers, push notification seems to be a legit, time-tested and effective hack to boost an app’s growth. Due to inadequate planning this brilliant app marketing tactic may sometimes represent a poorly executed recipe! However having a sane approach around push notification can substantially support the growth of your app. In this article, we will explore the many ways in which push notifications can be used at various stages of the app marketing cycle, how to use it in an optimal manner and the tools that can help in implementing push messaging campaigns within your app. But before that a glimpse of some numbers that strengthen the fact that it is indeed the growth hack that your app needs! 52% of people have push notifications enabled on their smartphones. 54% of users who clicked on a segmented push notifications converted. Push notifications supports 88% more app launches! The above numbers are clear indicators that push notifications are more than just fancy words to excite a user! They indeed have the power to tilt the users in your app’s direction. Other interesting statistics from this study revealed that app abandonment rate decreased from 21% to 11% if users were integrated with push notifications. Clearly push notifications have been the dark horse of the app marketing arena. Let’s move forward and see how we can negate this perception. One of the many reasons that force app users to opt out of push notifications is the fatigue associated with it. This is because brands bombard a user with lackluster and meaningless push notifications without any attempt at personalization or value of the user’s time. Geoffrey Keating of Intercom recommends a method that lays importance on both the user and the urgency of the message. What does growth of an app mean? In a nutshell it a medley of elevated engagement with users, decrease churn ratios and increased sales. Push notifications can help app marketers at all stages that are associated with an app’s growth. This could be at the onboarding stage, consideration phase and even at the retention phase. We’ve listed down the most crucial milestones in an app’s journey, where push notification can come into play. Intelligent use of a push notification strategy can not only elevate user experience, but can also become the driving force behind an app’s growth. Keeping a user hooked onto your app is a task, and most app marketers would agree with me here. Barring a few gaming app, the attention span of a user is quite low when it comes to an app. Push notifications (if enabled) can help marketers in increasing engagement and thereby elevating the retention numbers for various category of apps. It was observed that apps in the E-commerce, music, travel and food and drink category observed maximum traction. Since it is clear that the impact and engagement with push notifications will vary from one category to another it is critical for marketers to test valid use cases. Though there are various theories on how to curb it, app abandonment rate continues to be significantly high. 2014 data reveals that it has jumped from 20% to 25% in a single year itself! The phenomenon is often highest amongst gaming apps as stated by Re/Code. 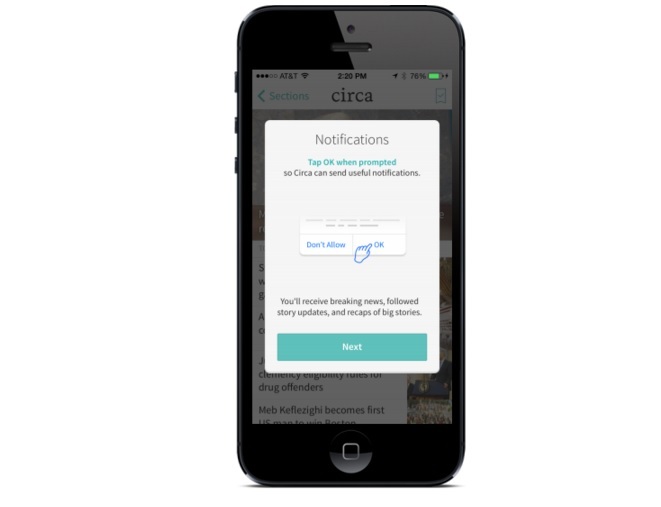 Push notifications can also aid developers in countering against app abandonment. Research state that, apps abandonment ratios decreased for apps where users had opted for push notification. The ratio was 1 in 10 apps (approximately 11%). Mobile apps in the B2C area have to constantly evolve while marketing products and other aspects of the app. For example, an E-commerce app could be highlighting a sale, a specific offer or an in-app referral program. Tying it up with holidays or other important dates. Tying it up with a ‘loyal’ or ‘on-break’ user campaigns. Using push notification during a product launch. Using push notification while introducing contests. Though there are many ways in which app marketers can use their creativity while implementing push marketing in their campaigns, a few brands have stood out. People who have been using Netflix would vouch for the apt and personalized push messages being sent by them. 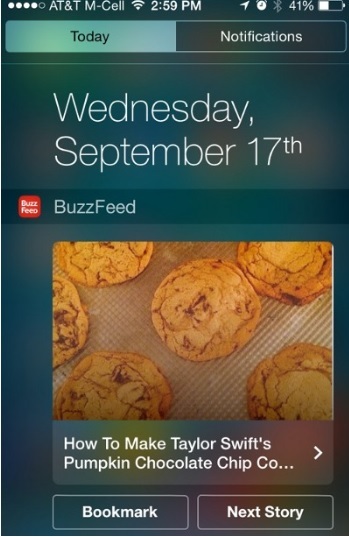 Buzzfeed on the other hands uses a visual element in their push notifications that strikes the right chord with its users! A few other examples are listed here. A marketing plan without promotion is meaningless. In one of our earlier articles we had mentioned how push notifications can also help in promoting a few marketing campaigns. Push notifications are a great way to onboard users and an opportunity for mobile app marketers to make their first great impression. You can use this option to highlight the best features of your app along with hinting on the benefits of opting in for push messages. Push notifications can come in handy at various other stages of an app marketing cycle, however the above mentioned stages are where it requires a concrete strategy and attention. 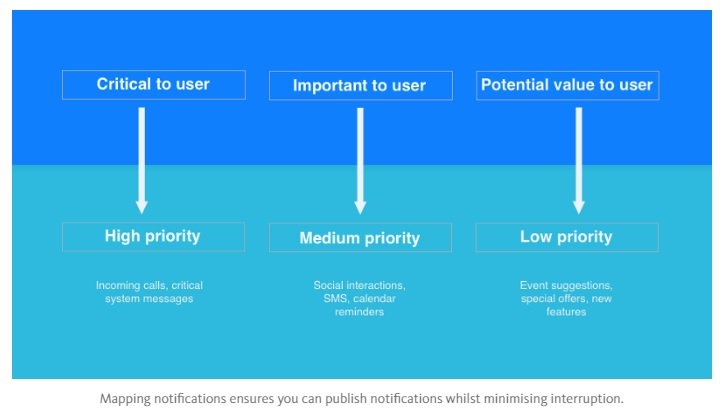 Now that we have taken mental notes of its benefits it is time to glance at the tools that can help in setting up push notification campaigns. There are numerous tools like Parse, Urban Airship, Appboy, Localytics and others that can help app marketers in implementing push notifications. 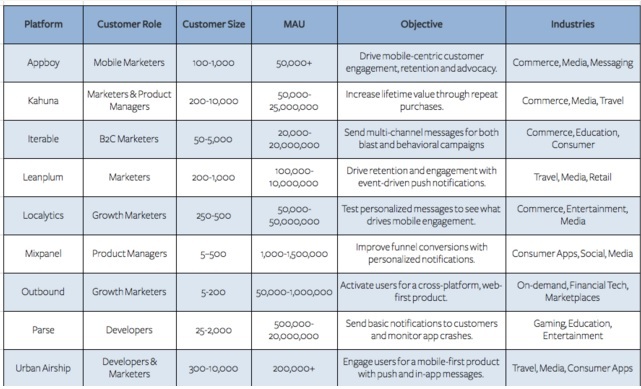 However, choosing a potential push notification tool depends a lot on the usage, company size, and the end goal. Segment has provided crisp guidelines and it we couldn’t have agreed more with them! Here’s a glimpse at their self explanatory ‘push notification requirement chart’. One can explore more of the right tools for their app business here. An app marketing cycle is incomplete without push notifications, however, it should be used like salt in a recipe! While its overuse may hamper your app’s growth, an optimum usage can bring in the right users to your step. Have you used push notifications to grow your app? If yes what lessons have you learned while doing so? Do share your feedback in the comments below.